SAN DIEGO--(BUSINESS WIRE)--Jul. 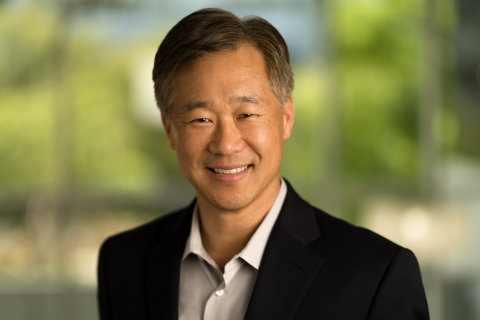 19, 2018-- ACADIA Pharmaceuticals Inc. (NASDAQ: ACAD), a biopharmaceutical company focused on the development and commercialization of innovative medicines to address unmet medical needs in central nervous system (CNS) disorders, today announced that Austin D. Kim has joined ACADIA as Executive Vice President, General Counsel and Secretary. He will report to Steve Davis, ACADIA’s President and Chief Executive Officer and serve as a member of the company’s Executive Management Committee. The company previously announced in February that Glenn F. Baity, who served as Executive Vice President, General Counsel and Secretary since 2004, would be retiring. Mr. Baity will remain with ACADIA through completion of a transition period. From 2006 until 2017, Mr. Kim held several senior legal positions at Teva Pharmaceuticals, a global specialty pharmaceutical company. At Teva, Mr. Kim was most recently Vice President and Deputy General Counsel, Corporate/M&A, handling corporate and securities law matters, acquisitions and corporate development, capital markets transactions and corporate governance matters. Before joining Teva, Mr. Kim was Deputy General Counsel at IVAX Corporation, a global generic pharmaceutical company, which was acquired by Teva in 2006. Earlier in his career, Mr. Kim was a senior lawyer at Transamerica Corporation, practiced law at Pillsbury, Madison & Sutro and clerked for Judge Vaughn Walker of the United States District Court, Northern District of California. Mr. Kim received his J.D. degree from Columbia University School of Law and his A.B. in English Literature and Economics from Stanford University. Statements in this press release that are not strictly historical in nature are forward-looking statements. These statements include but are not limited to statements related to advancing NUPLAZID; exploring new opportunities for recognizing the promise of ACADIA’s CNS portfolio; and delivering shareholder value. These statements are only predictions based on current information and expectations and involve a number of risks and uncertainties. Actual events or results may differ materially from those projected in any of such statements due to various factors, including the risks and uncertainties inherent in drug discovery, development, approval and commercialization, and the fact that past results of clinical trials may not be indicative of future trial results. For a discussion of these and other factors, please refer to ACADIA’s annual report on Form 10-K for the year ended December 31, 2017 as well as ACADIA’s subsequent filings with the Securities and Exchange Commission. You are cautioned not to place undue reliance on these forward-looking statements, which speak only as of the date hereof. This caution is made under the safe harbor provisions of the Private Securities Litigation Reform Act of 1995. All forward-looking statements are qualified in their entirety by this cautionary statement and ACADIA undertakes no obligation to revise or update this press release to reflect events or circumstances after the date hereof, except as required by law.